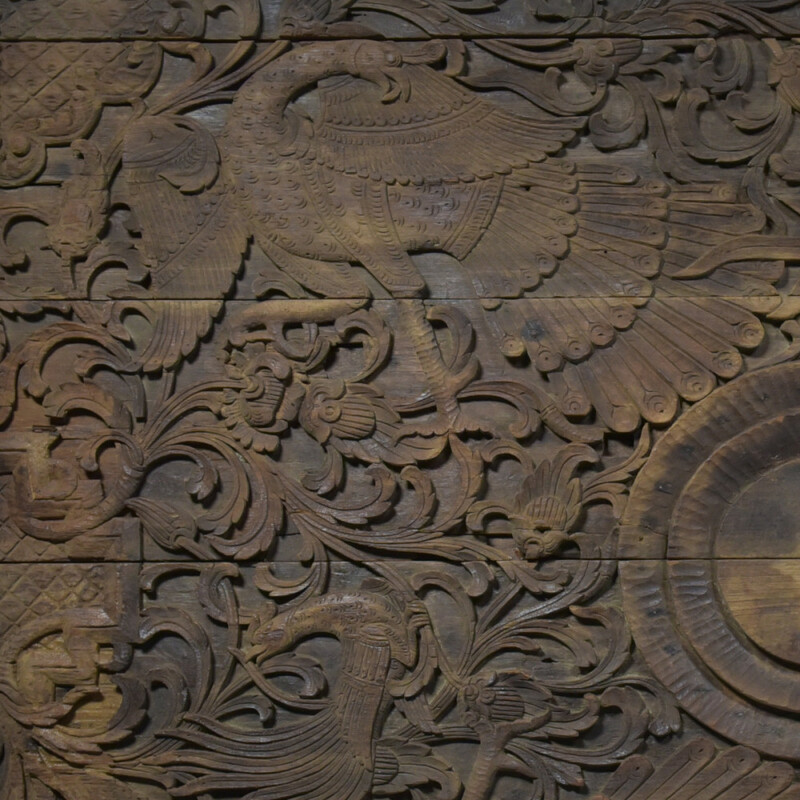 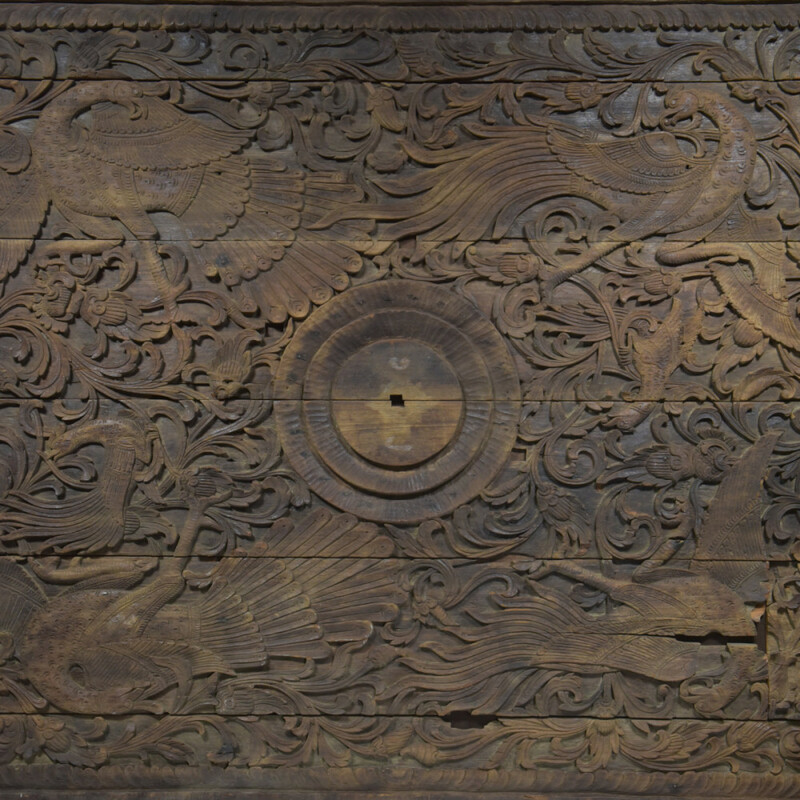 A large approx early 19th century relief carved ceiling depicting peacocks and foliage. 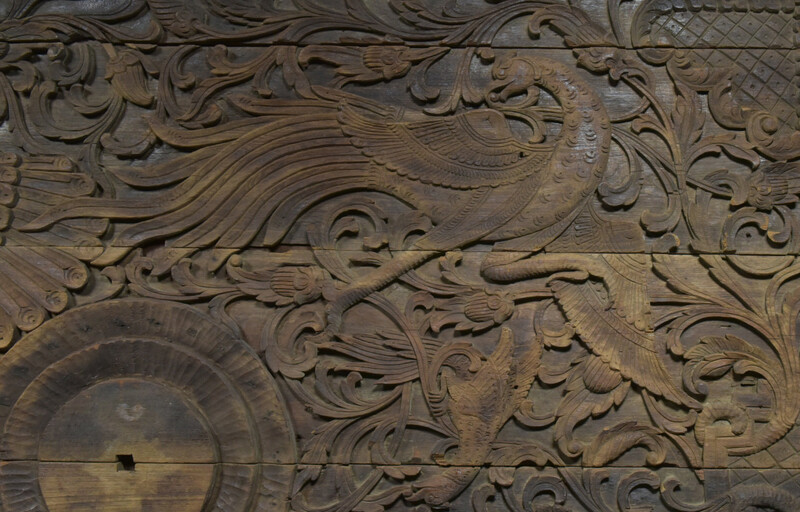 On hardwood boards now mounted on a (stained) plywood backing and with two softwood rails. 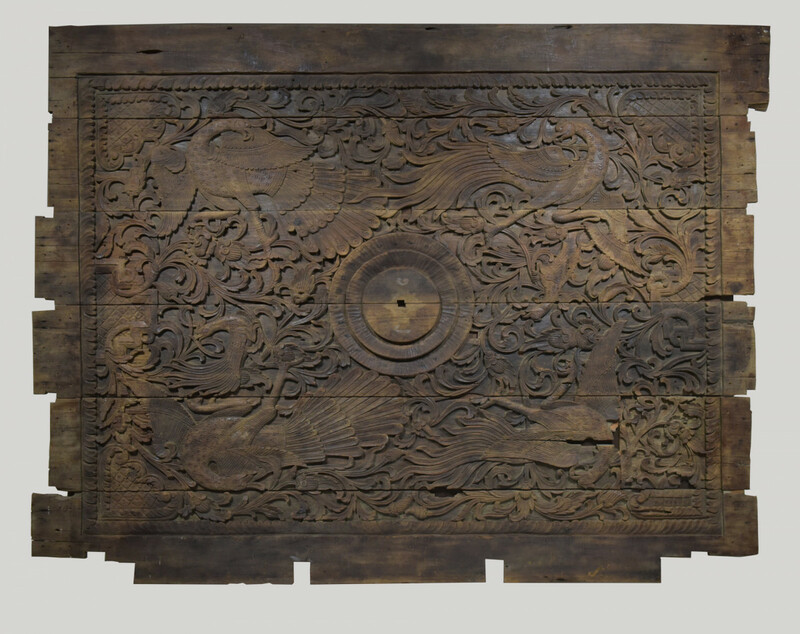 Overall good condition but some minor losses and a replacement piece ( from similar panel -12 by 16 inches) Malaysian or possibly Indonesian. 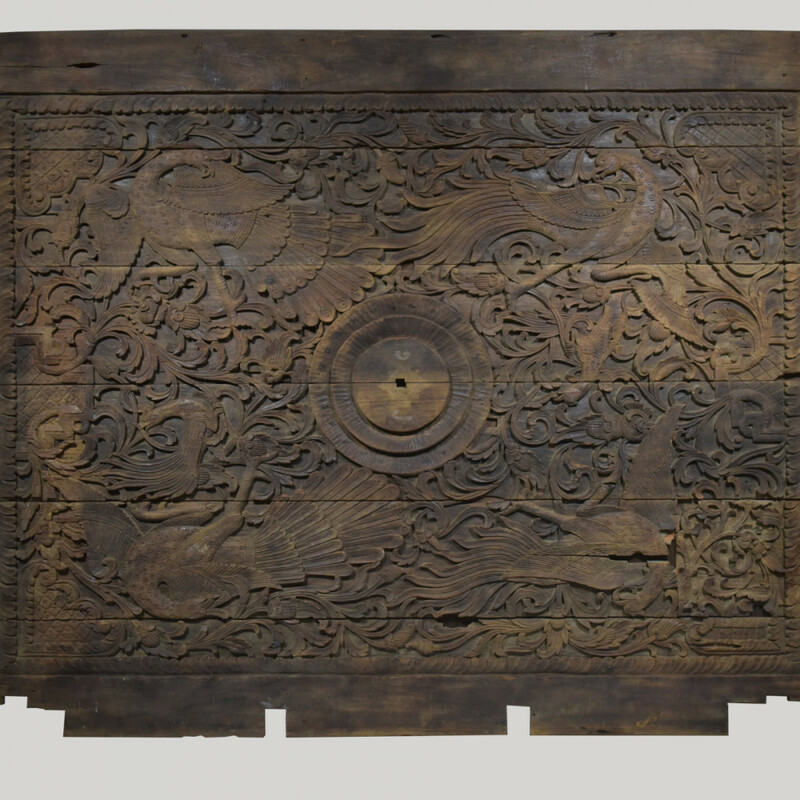 Dimension in inches/cms; 93.5"/238cms max width by 71"/180cms max height when hung ( in landscape) Carved area is 81.5"/207cms by 59"/150cms A great piece of wall art ready to hang using existing backing boards and rails.